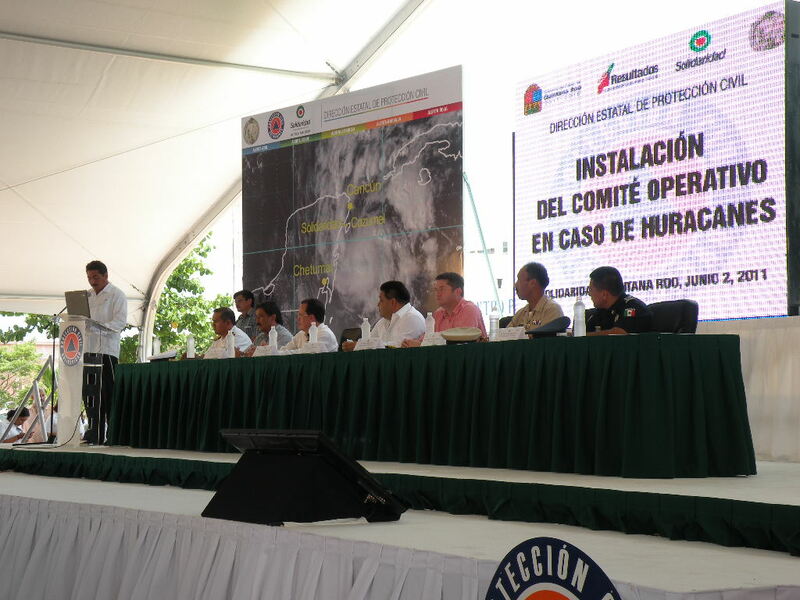 Playa del Carmen, Mexico, gets ready for hurricane season! I have just returned from a marathonic, but quite rewarding yet brief three-day visit [June 1-3, 2011] to Playa del Carmen, a resort town some 60 kilometers south of Cancun in the midst of the Mayan Riviera in the state of Quintana Roo, Mexico. 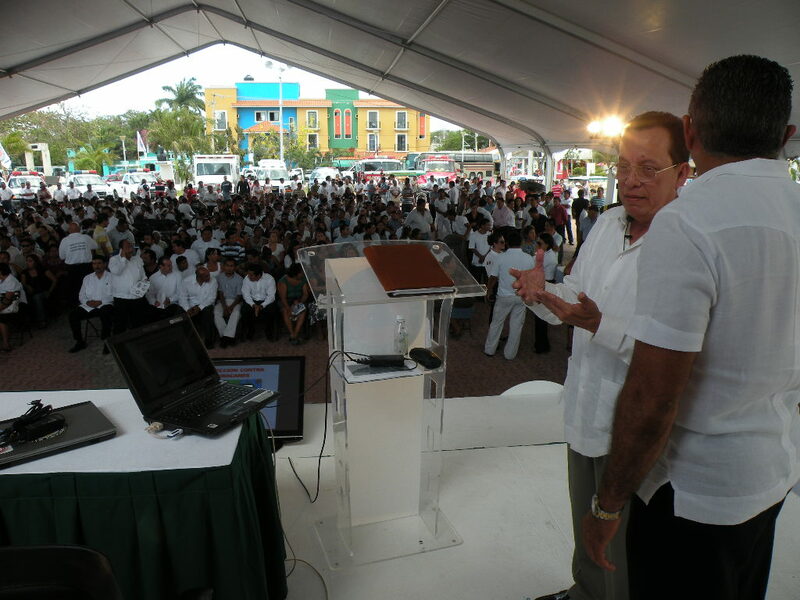 My trip to Playa del Carmen was at the invitation of the President of the Municipio de Solidaridad [equivalent to our County Mayor here in Florida] to be the keynote speaker at the ceremony of Installation of the Operational Committee in Case of Hurricanes for 2011 for the ‘municipio’[a political subdivision of the state equivalent to our county or parish] of Solidaridad. 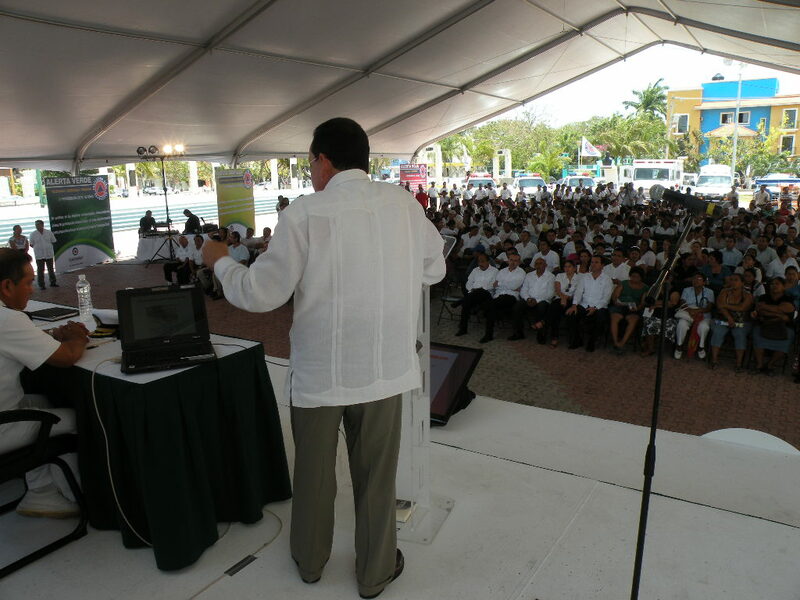 The city of Playa del Carmen is the seat of the municipio. 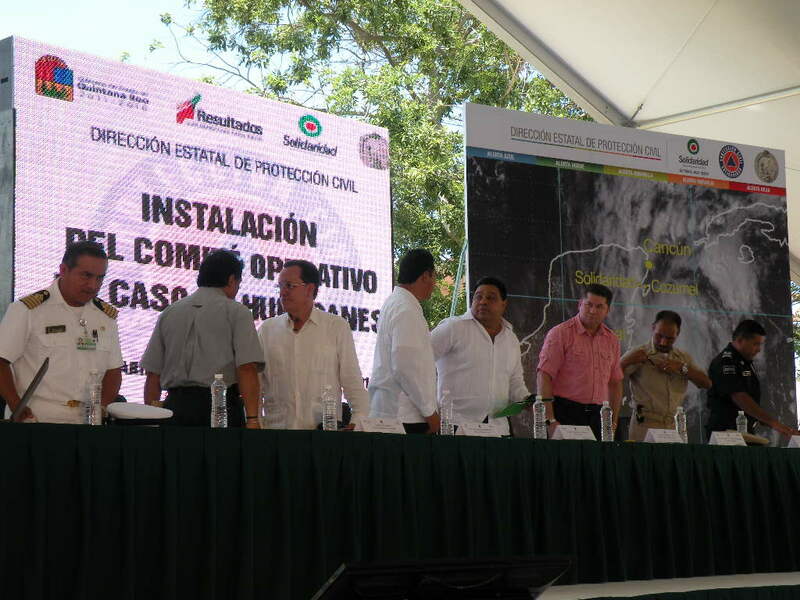 The installation of the Operational Committee is a key component of Civil Protection activities that take place annually throughout the political subdivisions of the state of Quintana Roo in Mexico. The ceremony of installation of the Committee is done jointly with the official adoption of the annual Civil Defense Plan, and carries in addition to the pomp and circumstance the swearing-in of committee members by the MunicipaL President, and the signing of the ordinance that gives the Committee and the Plan their legal authority to carry out their charge of protecting life and property in the Municipio de Solidaridad. The ceremony was presided by the Municipal Secretary General, in representation of the Municipal President, with the Municipal Regents[equivalent to a Board of County Commissioners], a representative of the State Governor, representatives of the armed forces, public and private sector dignataries, and the new members of the Operational Committee in attendance as well as the general public including school children and the media. All in all some 600+ guests participated in the ceremony. 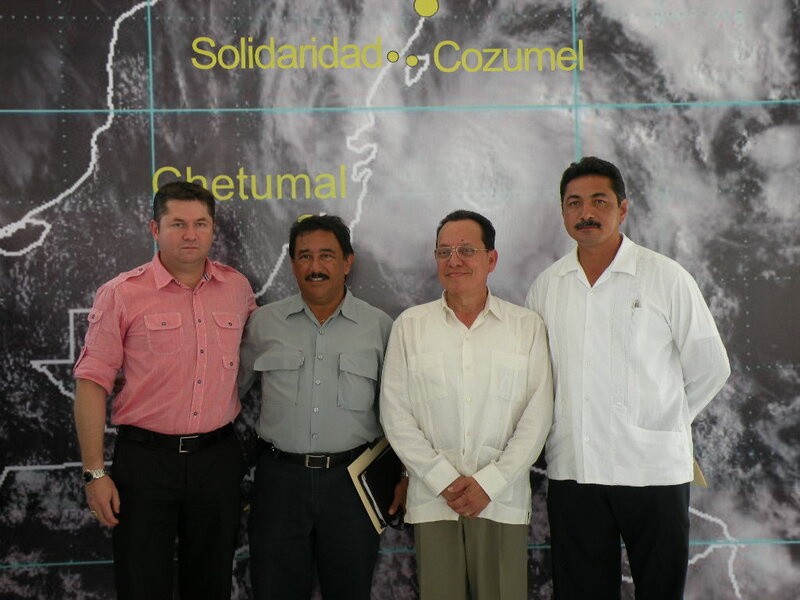 The state of Quintana Roo in Mexico has developed an effective emergency management [Civil Defense] structure over the years, with an excellent record of timely evacuations and preparedness during several hurricane strikes on important tourism resorts and population centers including such memorable storms as Gilbert , Wilma  and category 5 Dean . Loss of life and injury have been kept to a minimum during these hazard events. 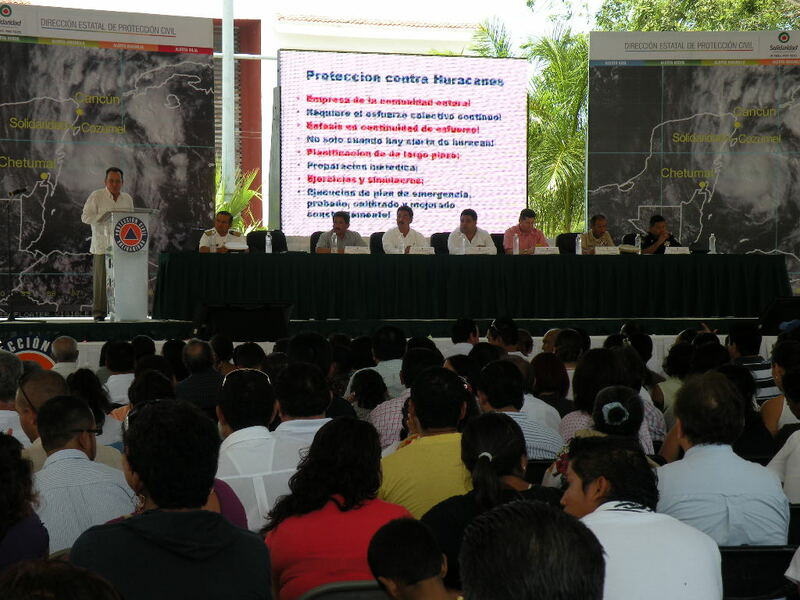 A testimony to the seriousness with which the State and Municipal governments, and the population at-large, treat the issue of hurricane risk and civil defense actions is the formal ceremony to install the Operational Committee and approve the Civil Defense Plan for the year. 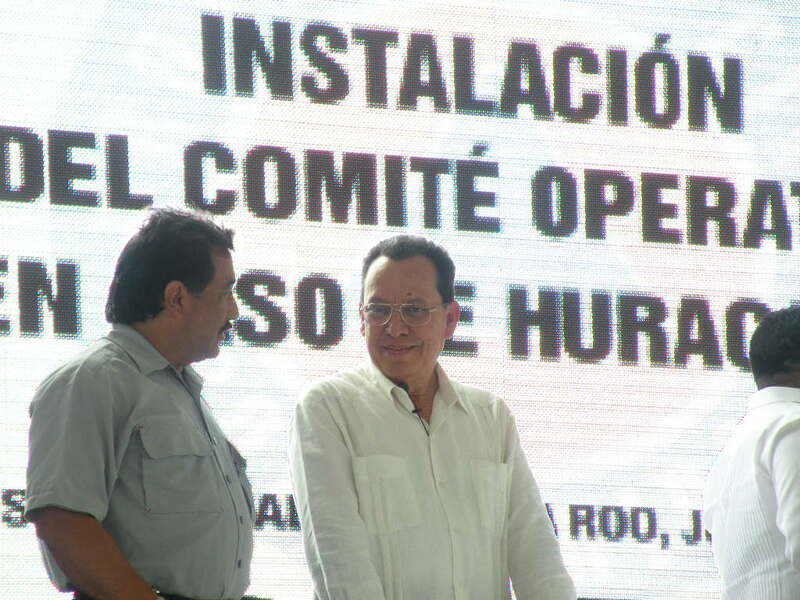 This ceremony not only includes the enactment of a municipal resolution installing and swearing in the committee and the formal adoption of the annual Civil Defense Plan, but it is also intended to send a message to all residents of this vulnerable community that the protection of life and property in case of hurricane impact involves the collective effort of all sectors of society, with support from local and state authorities. 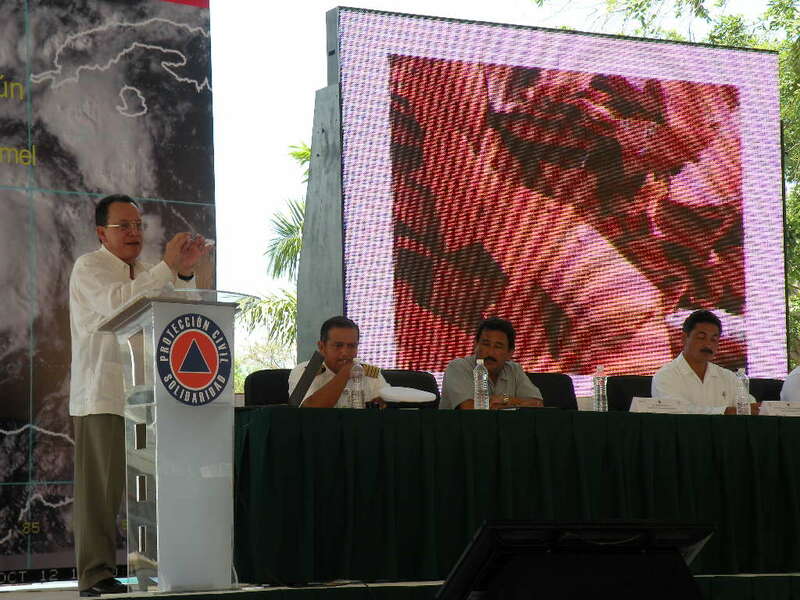 The ceremony included opening remarks by Municipal Civil Defense Director Eng. Genaro Alamilla Can who gave an overview of the emergency management structure, explained the significance of Operational Committee as a key component of Civil Defense especially during the hurricane season. The Director also explained how the Operational Committee represents key agencies in the municipality, and how the Committee works with Civil Defense staff and supports Municipal authorities in making critical decisions while activated during a hurricane event. The entire community is placed on a first stage of alert when a tropical cyclone enters or forms in the eastern Caribbean. Evacuation plans for tourists are also set in motion at that time, while all shelters are readied for full activation should the situation warrant it. At the conclusion of the event members of the Presidium, the keynote speaker, members of the Operational Committee, and invited guests exchanges views and comments and also fielded questions from the audience and gave interviews to members of the media who covered the ceremony. The consensus view among all was that the event had been quite successful in addressing key issues and in engaging the local residents and the media. Folllowing the event and a luncheon with state and local officials I also had a working meeting with members of the boards of the Colegio de Ingenieros Civiles del Municipio de Solidaridad and the Colegio de Arquitectos del Municipio de Solidaridad, the professional association of engineers and architects in Solidaridad. We exchanged views on the need to improve design and construction in this vulnerable region, and also the need to educate members of the building design professions in the concepts and practice of mitigation as a way to reduce the potential for damage to buildings, housing and infrastructure from the impact of recurring hurricanes. As a state official put it after this event “It left a good taste with the people”! AMEN!